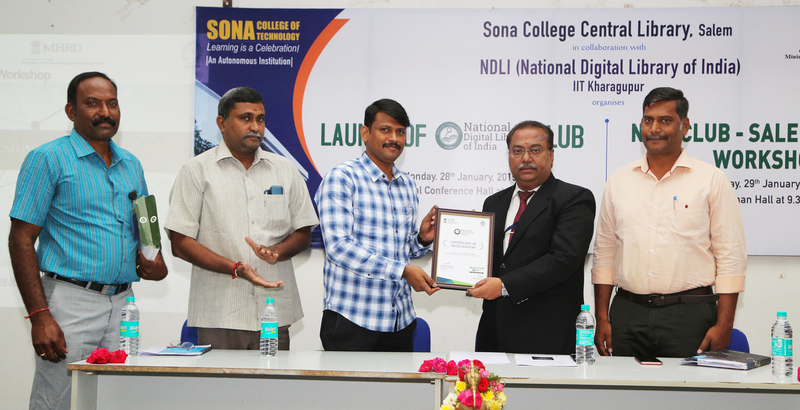 The National Digital Library of India (NDLI) in collaboration with the Sona College of Technology is conducting the NDLI Club Salem District Workshop on 29th January, 2019 at Sona College of Technology, Salem. The objective of workshop is to create awareness on Sona Libaray,NDLI, accessing its resources and to promote the culture of reading. 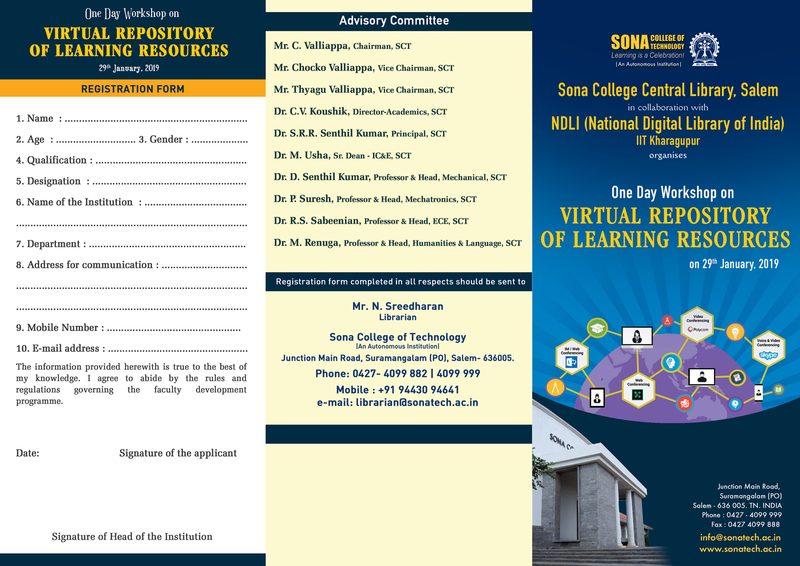 Dr Vignesh Sornamohan, Cheif Strategic and Outreach Officer from NDLI will inaugurate and conduct the workshop. 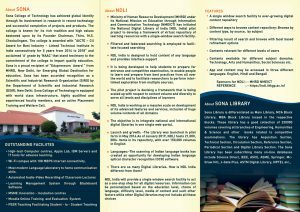 National Digital Library of India (NDLI) is an initiative of the Ministry of Human Resource Development, Government of India. 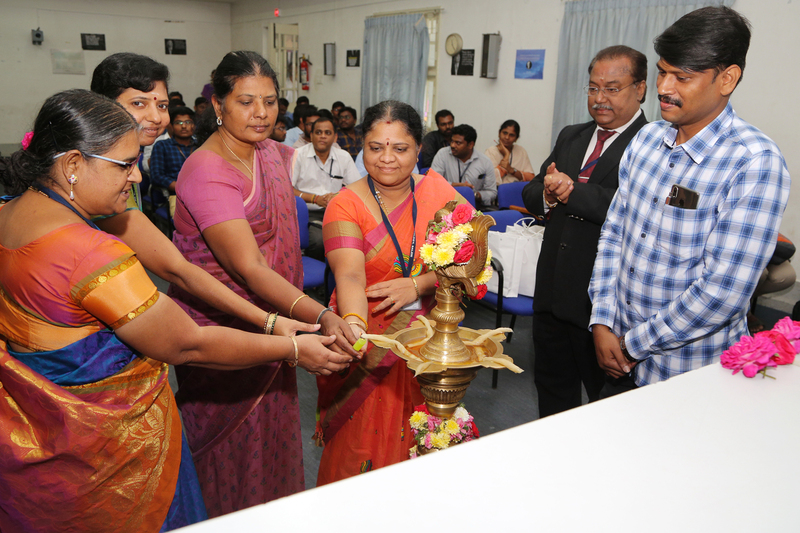 This programme is being hosted and implemented by IIT Kharagpur. 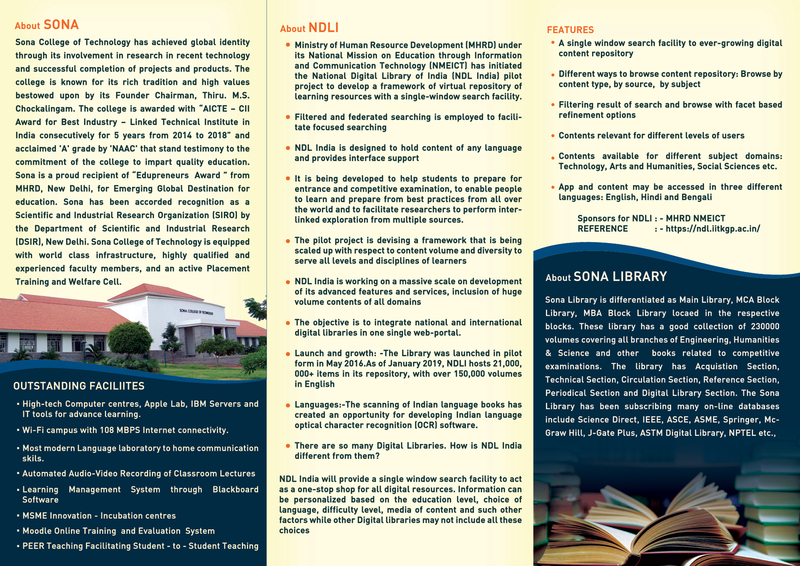 NDLI is a virtual repository of learning resources with a single-window search facility. 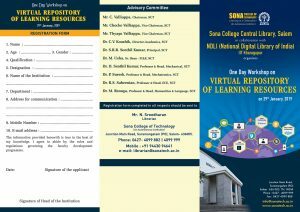 Currently, the platform consists of over 2 Crore knowledge resources. 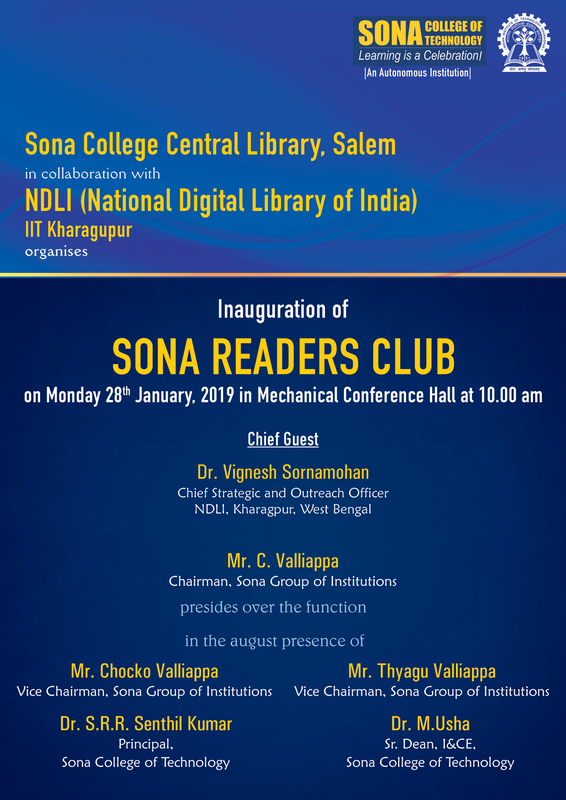 This entry was posted in Library Events on January 28, 2019 by admin.